The busiest period in the house-hunting calendar is upon us. A flurry of new properties has come to the market this spring. 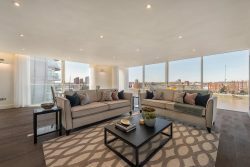 From a stylish West Halkin Street apartment to a Thames-side property that is likely to generate interest across the globe - view some of our hottest homes for sale this month. 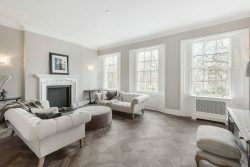 This fabulously stylish property is set over the top two floors of a period building just off Belgrave Square. There is a lift and a caretaker, making this an ideal “lock-up-and-leave” property. 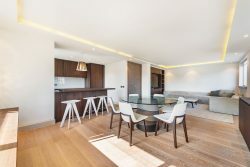 The living area is open-plan, with a bespoke kitchen and rosewood cabinets. An engineered steel staircase looks like it is floating up to the top floor, where there are two bedrooms and two marble-clad bathrooms. 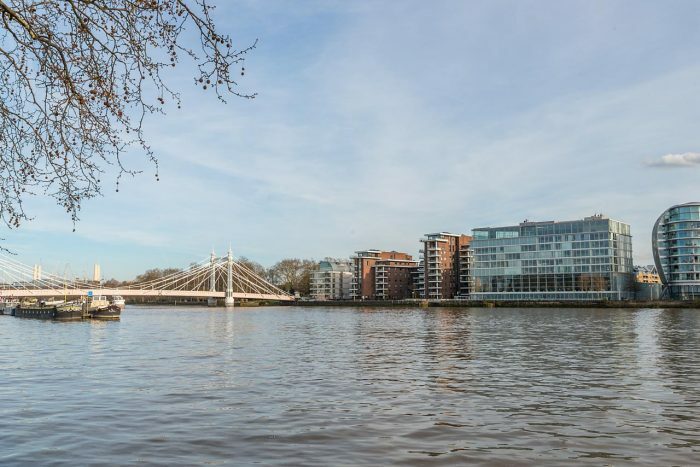 Riverside One has stunning views over both Battersea and Albert Bridge. In the summer, the area comes to life with joggers and cyclists along the Embankment, while the MBNA Clipper service whisks commuters along The Thames in the mornings and evenings. Designed by architects Foster and Partners, the cutting-edge Riverside One building is highly-sought after. This apartment has three bedrooms and a large, bright, triple-aspect, open-plan reception room. Interest in this property is likely to be strong, from across the globe. The red-brick mansion blocks on Hans Place are some of London’s most sought-after properties. This second-floor flat has two bedrooms, both en-suite. Residents are able to use the communal gardens, where they can walk in the footsteps of Jane Austen, who used to stay with her brother in Hans Place, when the area was still surrounded by fields. Now it is convenient for the West End and has superb transport links. Yet it’s still possible to lie beneath the plane trees in the gardens and dream of Mr Darcy. Kinnerton Street is one of London’s prettiest streets with mews houses, restaurants, friendly pubs and boutique shops. 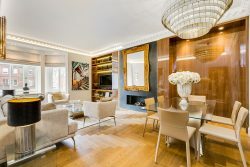 It is a desirable location at the very heart of Belgravia, within easy walking distance of Hyde Park. This newly refurbished fourth-floor flat is ready to move in. It has the clean lines of a Poliform integrated kitchen as part of a light, open-plan living area. There are two-double bedrooms with plenty of storage. The immaculate finish includes underfloor heating beneath the wide floorboards, and there is a lift. This lovely first-floor flat might be compact, but it’s big on charm. It has a decent-size bedroom and a good living space with a compact kitchen. Yet it also has a study on the first- floor half landing and beautiful views towards the Victoria and Albert Museum. The museum has the world’s largest collection of decorative art and design, and the current exhibition explores fashion and nature. 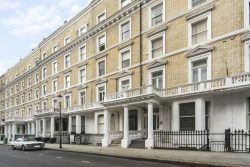 Elvaston Place is within a short walk of Kensington Gardens, Hyde Park and the Royal Albert Hall. This third floor flat has two bedrooms and a south-facing reception room complete with marble fireplace. The nearby Gloucester Road Tube station gives easy access to the Piccadilly, District and Circle lines. 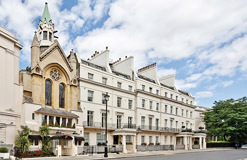 Eaton Square is renowned across the world. Famous residents include everyone from Sean Connery and Vivien Leigh to Rex Harrison and Barry Gibb. 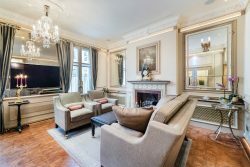 Here is an immaculate two-bedroom apartment on the second and third floors of a period property. It is a chance to own a piece of history in a glorious garden square.